Aproveche al máximo su estancia aprovechando nuestro servicio personalizado inigualable mientras disfruta de todas las comodidades del hogar y mucho más en este 2 dormitorios / 2 baños condominio en el corazón de la Ciudad de México. El propietario es una inmigrante bilingüe en Estados Unidos que ha residido en la ciudad durante diez años y es de guardia las 24 horas del día para que su estancia sea muy especial. Una vez a la semana limpieza de la casa incluida en las tarifas. Good location but run down apartment and in need of updating and dirty. Contact was almost an hour late to meet us upon arrival. Couldn’t meet us when we wanted to leave either. This is a very conveniently located property. The Alameda Park is 2mins away. It's an easy stroll into the main City. It's close to Juarez metro. The apartment has everything you need for cooking and there's a washing machine. The apartment management were great and turned up to fix a couple of minor things speedily. There's lots of places to eat in the area. The grocery stores immediately around are a bit limited, but there's a Walmart in Buenavista, which is about a 20 minute walk, or you could easily get a taxi there. From start to finish, everything was great. The penthouse apartment was huge, beds were comfortable, and everyone was helpful and friendly. We were close to the museums, restaurants, bars,etc. We felt very safe walking in the neighborhood. Would definitely recommend if you like to have plenty of room to hang out. Thank you Bruce for a wonderful stay on Mexico City! 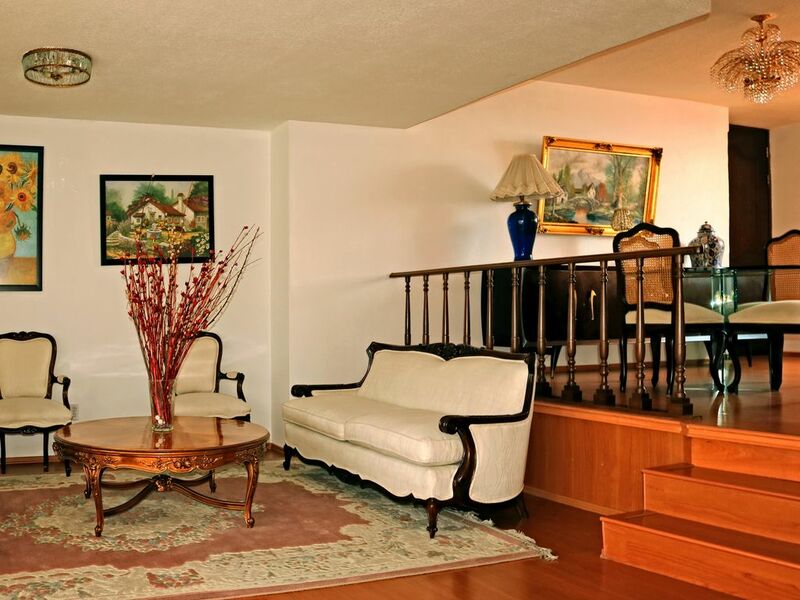 This condo unit is located centrally in Mexico City with many transportation options close. The condo is just 3 short blocks from the famous Angel of Independance on Reforma Avenue.The area is a busy mixed business and residential one that always felt safe when we walked in it.There are restaurants and small convenience stores a few steps from your door. A 24/7 doorman lets you into the the building and a special fob used in one of the elevators takes you to your eighth floor. The apartment is spacious and equipped well for our needs but could use some touch ups and small renovations.The apartment overlooks a busy and somewhat noisy street but being on the 8th floors reduces the noise. A driver had been arranged to pick us up at airport for a US $ 22 fee. Checking in was smooth and a person was there to show how things worked. We were able to go on several private car tours with the recommended driver. The driver’s name was Ricardo and his tours were excellent. Overall our 6 night stay was very good. Perfect location, well-equipped apartment near all the key sites for great stay in Mexico City! Perfect location - stayed 9 days over Christmas. We had a 2 bedroom apartment, with two bathrooms, and daily garbage removal/water. Well-stocked kitchen for making meals - important at Christmas when so many restaurants shut down. Washing machine. Can't speak highly enough about this condo. Smooth pick up at airport, and they delivered the keys and gave a tour of the facilities. They respond to all questions quickly. - perfect for lengths. Since nights are cold, they gave us room heaters which was perfect. Iron/ironing board. la ubicacion es increible a unas cuadras del angel de la independencia y la vista es maravillosa, el balcon muy amplio y el departamento muy bonito amplio y tranquilo.